Ideal for children's garments: Merino wool is a fibre of highest quality and softness and is very comfortable to wear on the skin. Therefore it is especially suitable for children and babies who are particularly sensitive to scratchy wool. And since our yarn is fit for the washing machine, there is no need for tedious hand washing. Design options: With our two yarn weights you can realise many different patterns – from light shawls for cool summer nights to warm and cosy winter cardigans. Whether cable, garter stitch, ajour or Fair Isle – our 16 colours are easy to combine and offer numerous design options. Temperature regulating: Merino sheep live in areas with extreme climatic conditions. Their wool is therefore capable of natural compensation for great heat as well as severe cold. For the same reason it can also adapt to the human body temperature – and this is why you always feel comfortable wearing Merino wool. Odour compensating: As opposed to cotton, which has to be washed very often, it is often sufficient to simply air Merino wool and wash it less frequently – that way you save yourself a lot of work and the environment the high usage of water and washing powder. Moisture absorbing and breathable: Merino wool is able to absorb moisture and transport it to the dryer side of the fabric extremely well. Therefore it always feels nice and dry and comfortable on the skin and for this reason it is also being used increasingly for sportswear. We do not simply claim to be "organic" – the production of our yarn is completely certified and is regularly controlled by an independent organisation. Since the term "organic" is not protected, it is often used even if only a tiny part of the production chain fulfills in fact organic criteria. The buyer does not have any proof of which organic criteria are fulfilled at all. GOTS, on the other hand, covers every single step in the production chain, from sheep to yarn, and its criteria are public. Organic yarns of other sheep breeds often feel scratchy, the reason being that for most people wool which is 22 Microns or coarser seems rather rough. Our Patagonian Merino wool has 19.5 Microns and is clearly beyond this threshold and therefore feels especially soft. Most organic yarns are available only in undyed shades, such as white, brown, or grey. This has a simple reason: For non-organic dyeing – and in many cases also for dyeing with plant colours – heavy metals and environmentally poisonous substances are often used, which severely undermines the organic properties of the yarn. Our yarn is dyed according to GOTS criteria without poisonous substances and is available in many beautiful colours, which neither harm your health nor the environment. The idea to produce our own yarn came up in 2011, when I was trying to find soft organic wool in beautiful colours for hand-knitting. Patrick and I have preferred organic food for a long time, and since I am a passionate and frequent knitter, it was only natural that I wanted to find out more about sustainability in the area of hand-knitting yarns. Above all, I wanted to know what happens to the sheep. During my research I discovered many interesting but also alarming facts, from the painful mulesing that Merino sheep have to suffer to the large quantities of chemicals and pesticides which are normally used for yarn production. But unfortunately I could not find any organic wool which offers a verifiable guarantee that such things do not occur during the production and which is also really soft and not only available undyed. After what I had found out, it was simply impossible for me to continue knitting with such yarns and feeling good at the same time. The only solution: to produce a yarn myself which would meet all of these criteria. Patrick and I continued researching and found that in the organic textile area the certificate with the most comprehensive international transparency and guarantee is the Global Organic Textile Standard (GOTS). But it was not easy to figure out how we could have our own yarn produced according to the GOTS standards. 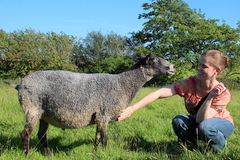 The first important step was to find a wool supplier for extra soft Merino wool. This was difficult, because this kind of wool is normally only shipped in batches of 20 or more tons from South America, New Zealand, or Australia. The following steps would also be very time-consuming and it soon became obvious that I could not handle all of it alone. 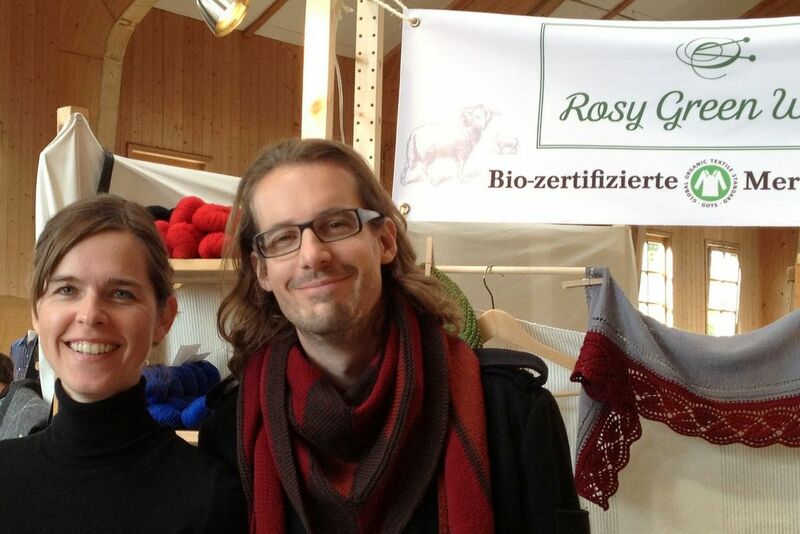 So Patrick and I founded Rosy Green Wool together. Together we started looking for a spinning mill and a dyer. Both should be GOTS certified and able to work with smaller batches, an almost impossible venture. We finally found both in England, which looks back on a long tradition in spinning, dyeing, and weaving. 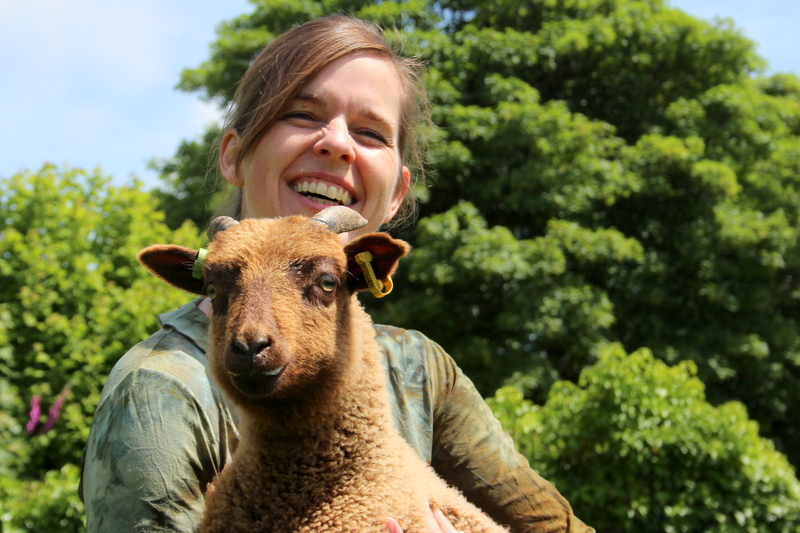 We liked the idea of working with small businesses where many things are still done manually and long experience meets the love of nature, sheep, and wool. It was and is important for us to work closely with our producers on-site to achieve the special quality of our yarn. We wanted to offer more than just nice words. Therefore, we decided to become GOTS certified ourselves. Recently we have also begun to process wool from sheep breeds that are rare and in danger of extinction. With a share of the revenue we support the Rare Breeds Survival Trust, which is committed to the conservation of endangered sheep breeds in Great Britain. 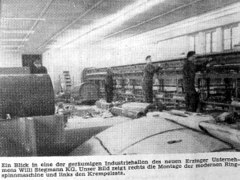 My grandparents founded a small spinning mill in Southern Germany in the 1950s, which was later continued by my parents. As a child I grew up with the smell of wool and of course there was a lot of knitting and crocheting going on in my family. My grandmother, who was responsible, among other things, for the pattern design in the spinning mill, was able to pass on her passion for knitting to me when I was a teenager. Since then I have knitted most of my sweaters myself and started early on to design my own models and colour combinations. My professional career started in the IT field. I studied Computational Linguistics in Tübingen and Edinburgh, Scotland (country of the Blackface and Hebridean sheep). 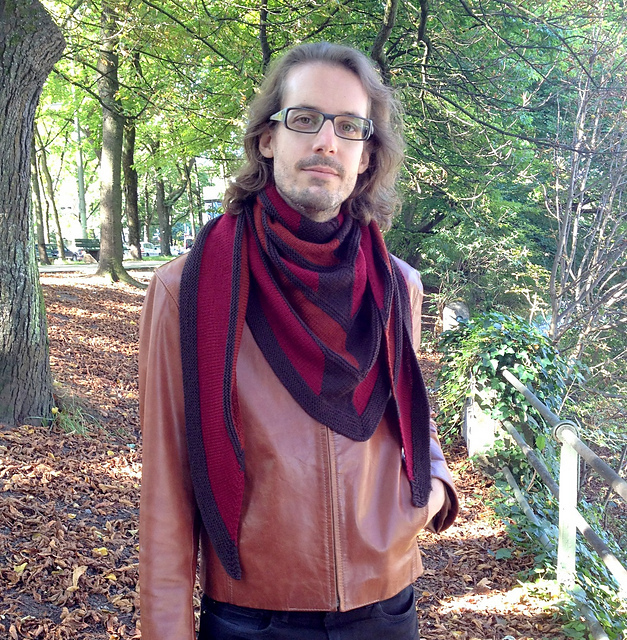 After my studies, I worked as a computational linguist for different companies and completed a PhD in Computer Science at the Technical University of Munich. Later I decided to work as a self-employed Web developer, which gave me more freedom to work as well for projects in art and creative areas in Munich. 2009 Patrick and I lived in Argentina for a couple of months. We had also travelled through Patagonia earlier, where we were impressed by the breathtaking scenery and the vast grasslands for the Merino sheep to graze in. I never guessed then that soon I would have even more dealings with Merinos. From 2012 to 2014, Linn Quante and I organised the Knit Nite Unplugged as a monthly event in Munich. 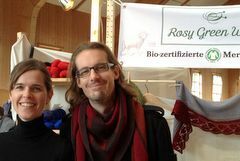 In March 2012, Patrick and I founded the Rosy Green Wool GbR, which has been my fulltime occupation since August 2013. The passion for wool, sheep, and knitting has accompanied me ever since. And it has become even stronger with the decision to produce my own yarn. 1998 Rosy and I met at a seminar about Net Art which I was giving at the Academy for Fine Arts in Munich. Since then we're a couple - and married since 2014. I've been working in the area of Internet software since the 90s, first in an own startup and for the last years for a small company in digital banking. Since the end of 2016 I'm also fulltime at Rosy Green Wool. At the side I was always active in different projects in the art and subcultural fields. Since 2009 I'm the moderator of the Nerd Nite Munich. At Rosy Green Wool, my main tasks are coordinating production and shipping, customer service, programming, finances, GOTS certification, and photography.